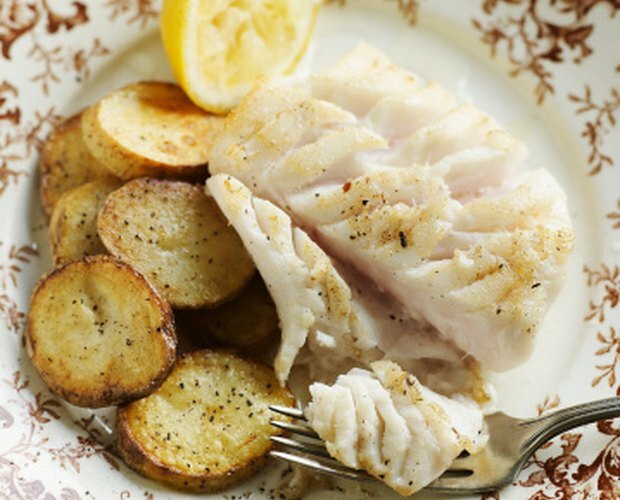 One fillet of raw Pacific cod offers at least 10 percent of your daily values for several nutrients, including selenium, vitamin B6, phosphorus, vitamin B12, potassium and niacin, according to SELFNutritionData. It also contains 95 calories and 43 mg (or 14 percent of your daily value) of cholesterol. This flaky fish is a traditional choice for fish and chips, but also works well in a range of other recipes. It is a good candidate for cooking in the microwave, where you can fully cook it in around three to 12 minutes. Sprinkle the cod lightly with salt and pepper to season it. Rub the salt or pepper into the fish gently just to ensure it sticks to the meat. 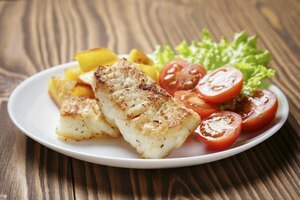 Place the cod into your microwave-safe dish and add 1 to 2 tbsp. of oil or water to the dish. Cover the microwave-safe dish. Microwave the cod for three minutes. Check the cod with a fork to see if it is done. 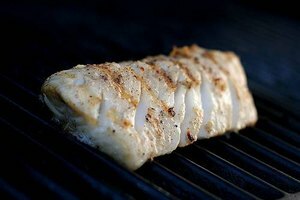 Fully cooked cod will flake apart easily when you pull on it with a fork. 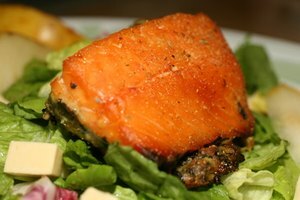 If the cod is not cooked, microwave it for another one to two minutes and check it again. Repeat this process until the cod is fully cooked. 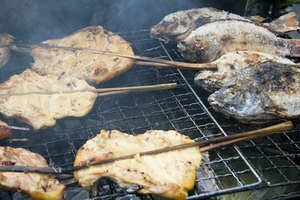 According to Bass on Hook, a single fresh fillet of fish will cook in three to five minutes while a frozen fillet will take six to 12 minutes. Add any other ingredients to your dish, such as asparagus, green beans or peas. You may need to cook these until they are tender before including them with the cod.